Mrs. Claus will appear at the Franklin Historical Museum during the Holiday Stroll. 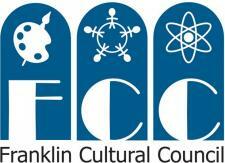 The entire family is invited to the Franklin Holiday Stroll on Thursday, December 4. The Franklin Downtown Partnership will transform the downtown center into a festive holiday party from 4 p.m. to 7 p.m., complete with visits from Santa and Mrs. Claus, arts and crafts, holiday shopping, refreshments and plenty of entertainment. The fun begins with carolers and hot chocolate at the annual tree lighting at 4 p.m. on Dean Hall Common on the Dean College campus. From there, holiday revelers can stroll through downtown Franklin and stop into more than 30 participating businesses for tempting treats, special offers and holiday-themed entertainment. A complete list of each business’s activity or offering will be available at the tree lighting ceremony and at participating locations. “The Holiday Stroll is a unique event that we feel really showcases our businesses. Our merchants stay open late and invite everyone inside. It’s a great opportunity to discover new businesses and have one-on-one conversations with business owners,” says event co-chair Gregg Chalk of the Franklin Downtown Partnership. Santa Claus will hear children’s wish lists at Simon’s Furniture from 5 p.m. to 7 p.m., and Mrs. Claus will treat kids to an ornament craft, candy canes and hot chocolate at the Historical Museum. Children can decorate gingerbread men under the lighted trees at Dean Bank, and find arts and craft activities hosted by the Girl Scouts on Main Street. Many other participating businesses also will have crafts for kids. Visitors can check items off their holiday gift lists by shopping sales and specials at downtown shops. Several vendors will set up shop inside Depot Plaza and offer demonstrations, gift certifications and holiday items. Refreshment of all kinds can be enjoyed at many participating downtown businesses, some of whom are partnering with stores located outside of central Franklin. Making Whoopie’s desserts can be found at The Black Box, while Pour Richard’s will offer cider at Jane’s Frames. Families making a night of it can stop into any participating downtown restaurant to enjoy discounts and dinner specials. Music and entertainment will fill downtown that evening. Milford radio station WMRC 1490-AM will broadcast holiday music live from Emma’s Quilt Cupboard. Franklin School for the Performing Arts students will perform at The Black Box, and Alexa Katsaros will entertain crowds at Rockland Trust. Jamie Barrett is set to appear at Jane’s Frames, and Franklin High School music students will perform at the Cake Bar. For younger visitors who have excess energy to burn, the Bernon Family Branch YMCA is providing a physical fitness and sports area in the Rockland Trust parking lot. The Franklin Fire Station is hosting a Touch-A-Truck event where kids can climb on the fire engines. Amidst all the fun, there also will be opportunities for residents to give back to the community and donate goods to the Franklin Food Pantry. The Holiday Stroll falls in the middle of the Franklin Food Elves’ “12 Days of Donating” campaign. The Food Elves will place a red drop-off bin at the tree lighting ceremony and at 14 business locations throughout town. This year’s Holiday Stroll is made possible by generous support from the local business community. This year’s Platinum Sponsor is Big Y World Class Market, and Gold Sponsors are DCU, Dean Bank, and Dean College. Silver Sponsors are D.G. Ranieri Real Estate, Franklin Ford, Franklin Local Town Pages and Middlesex Savings Bank. Bronze Sponsors are Doherty, Ciechanowski, Dugan & Cannon, P.C., Drama Kids of Metro West, Franklin Girl Scouts of Eastern Massachusetts, H & R Block, the Law Office of Timothy J. Teehan, Leaf Filter, NEWPRO, Simon’s Furniture and Vet Med Pet Supplies. “Downtown Franklin shines brightly during the Holiday Stroll. It’s fun, it’s affordable, it’s close to home and it’s the perfect way to get into the holiday spirit,” says co-chair Roberta Trahan. For more information about the Holiday Stroll contact co-chairs Gregg Chalk, gchalk@dean.edu, or Roberta Trahan, Roberta_icu@verizon.net. The Franklin Downtown Partnership is a non-profit 501©3 organization made up of business owners, community leaders and residents working to revitalize downtown Franklin. For more information about the FDP, please visit www.franklindowntownpartnership.org/, or contact Executive Director Lisa Piana at (774) 571-3109 or downtown.franklin@yahoo.com.